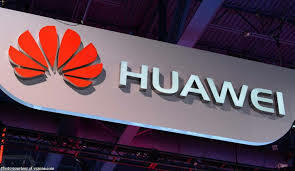 SYDNEY –The United States and Pacific allies will counter a bid from Chinese telecoms giant Huawei to build a communications network in Papua New Guinea, a senior diplomat said Friday, intensifying a campaign to curb China's rising regional influence. Responding to reports that the US and its close allies Australia and Japan were looking to trump the Chinese firm's bid to build PNG's domestic internet infrastructure, US charge d'affaires in Australia James Caruso was blunt. "We're working on a counter offer," he told Australian national broadcaster the ABC. "It is up to the PNG government at the end of the day but... the whole idea is to give alternatives," he said. Huawei was effectively banned from rolling out Australia's 5G network in August, after Canberra warned of security risks with companies beholden to foreign governments. Australia this year convinced the Solomon Islands to drop a contract with Huawei to build an underwater internet cable, with Canberra instead agreeing to help fund the project, which will also connect to PNG. Huawei has long refuted the accusations of security risks and links to the Chinese state intelligence services. Beijing has been showering billions of dollars in infrastructure loans to tiny island nations across the Pacific Ocean, a region considered strategically important as a maritime gateway to Asia, including China. Australia, which has been critical of Beijing's "soft diplomacy" in the region, has been leading a charge to counter China's influence, boosting aid to Pacific nations and strengthening regional security pacts. Caruso said there was a need to make it easier for Pacific nations to do business with the US and its allies, providing a transparent private sector-led model that offered a clear alternative to Beijing's Belt and Road initiative. "The whole idea is to give alternatives, not to say 'don't do business with China'," he said. "China's offers are out on the table, it is up to us to be competitive."